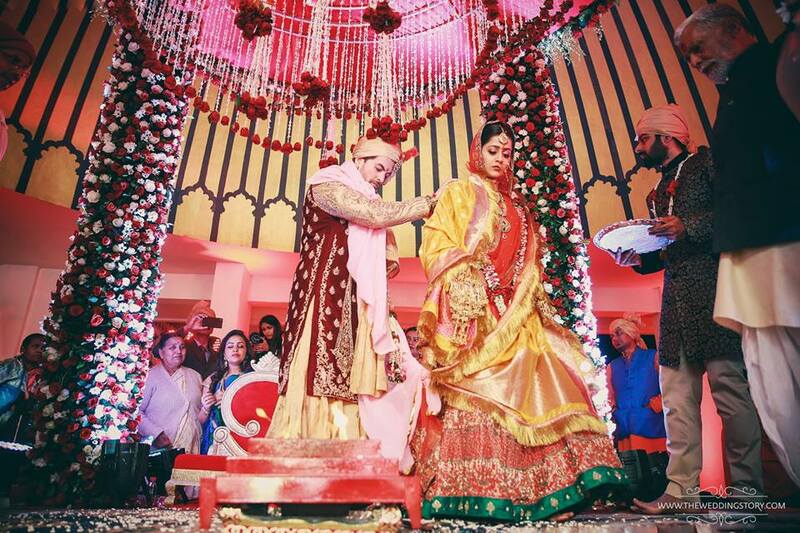 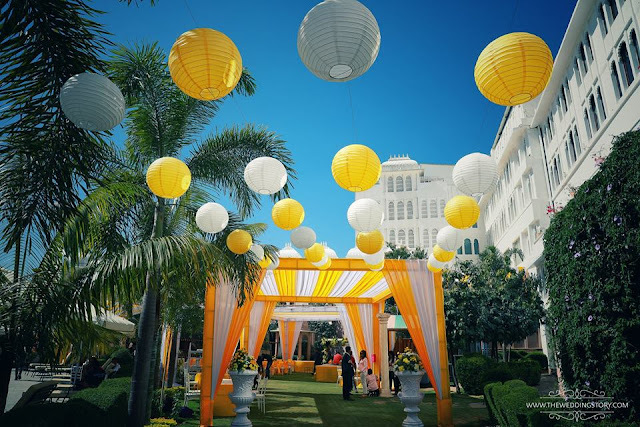 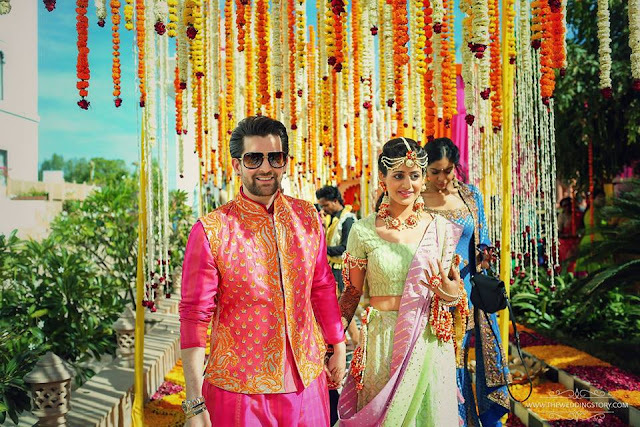 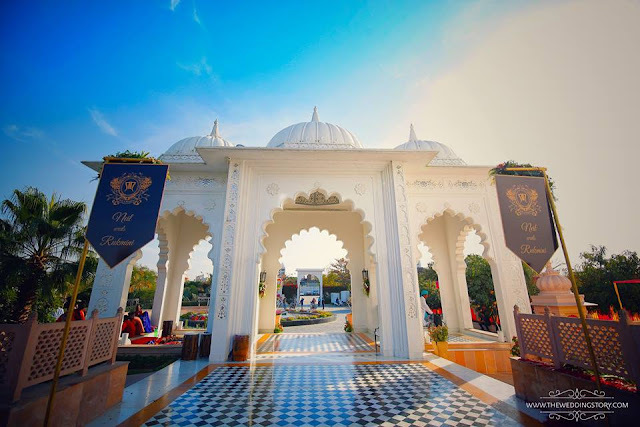 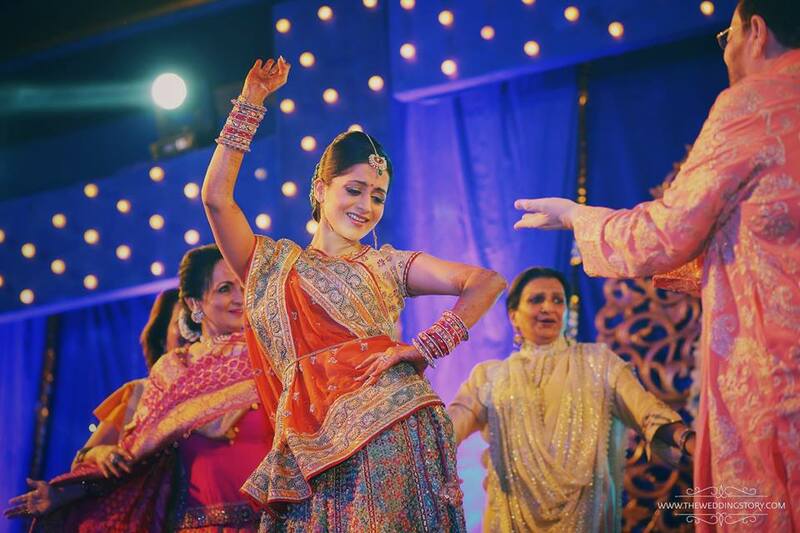 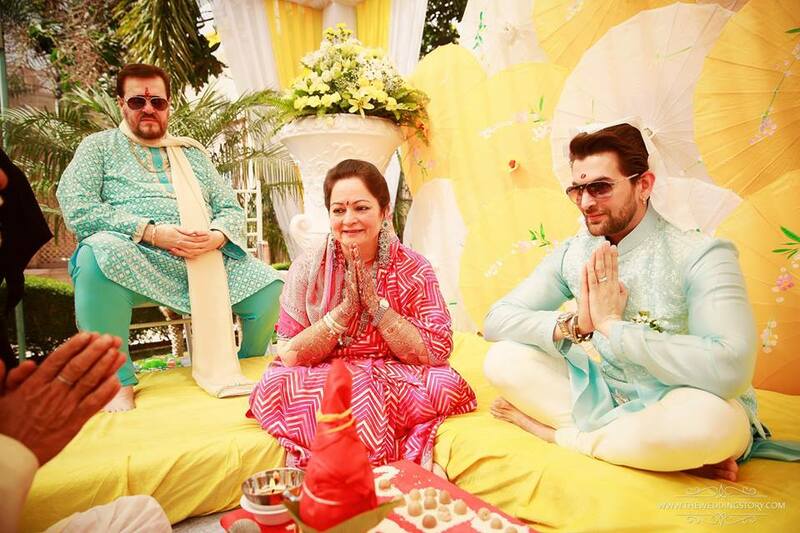 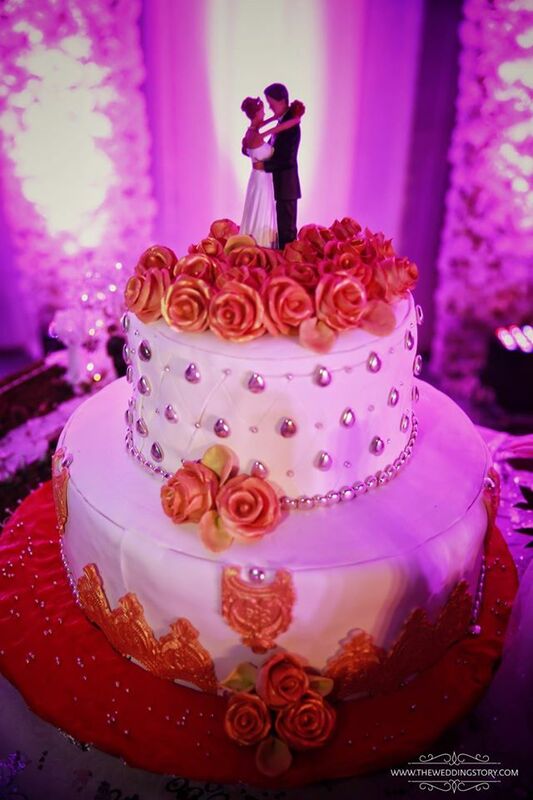 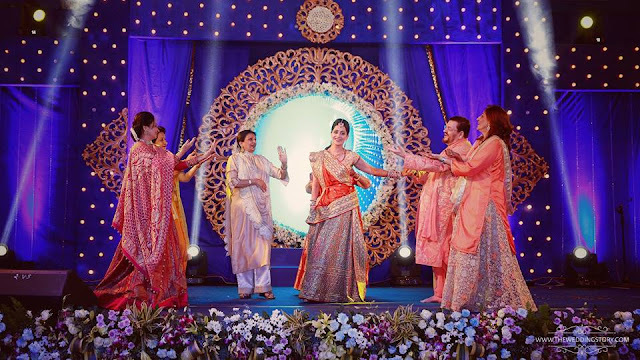 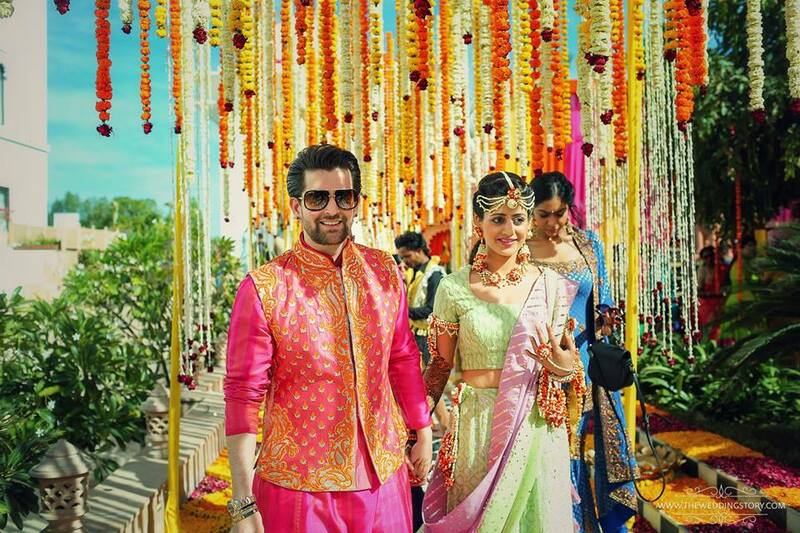 Bollywood actor Neil Nitin Mukesh's wedding was a royal colourful affair at Radisson Blu Udaipur Palace Resort.The big fat Indian wedding had around 500 guests in attendance for a 4 day grand celebration which oncluded haldi, sangeet and wedding as per hindu traditions. A grand reception is scheduled on Febrarury 17th in Mumbai for Neil's Bollywood friends. 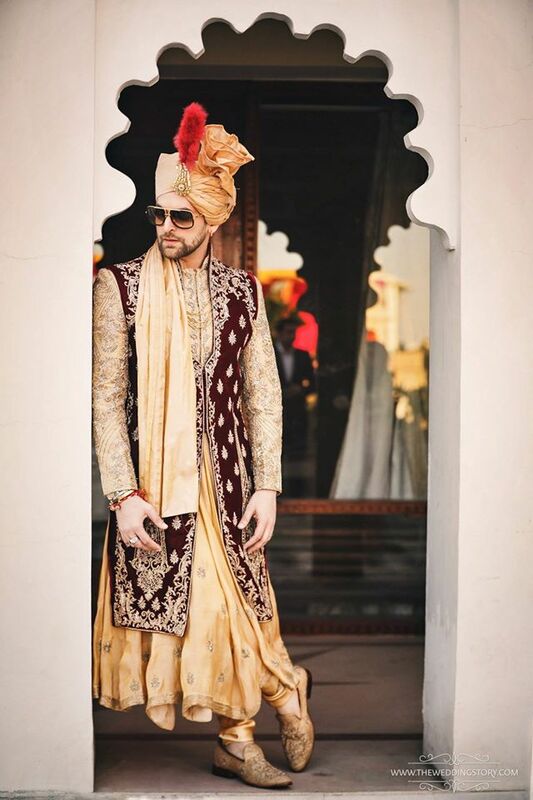 Neil Nitin Mukesh wore a maroon and gold Sherwani while Rukmini Sahay wore a heavily embellished red lehenga. 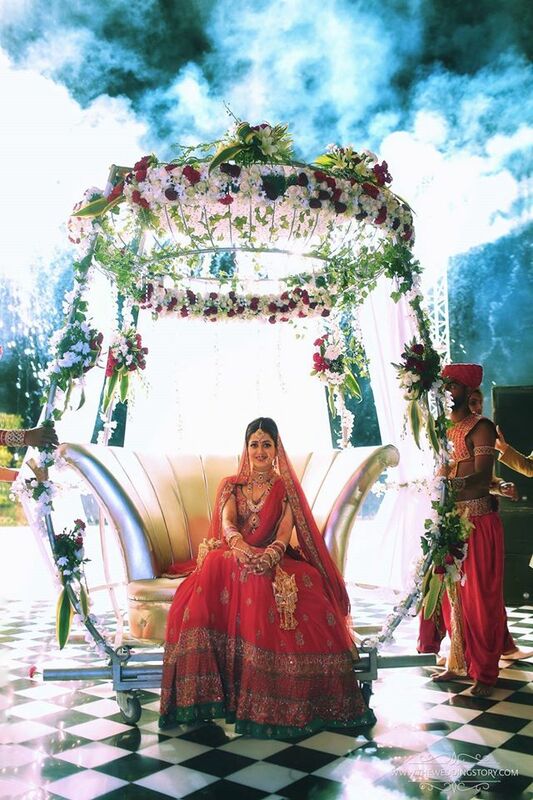 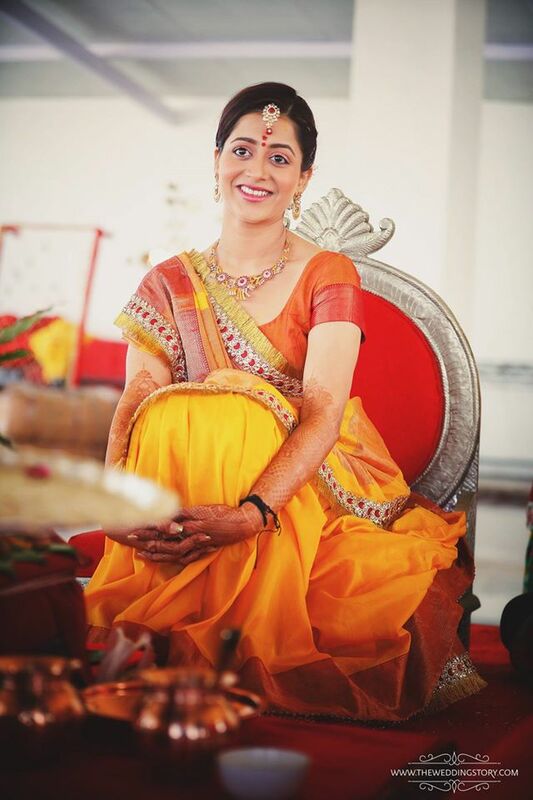 Rukmini also wore a silk shawl like a double dupatta along with her bridal accessories. 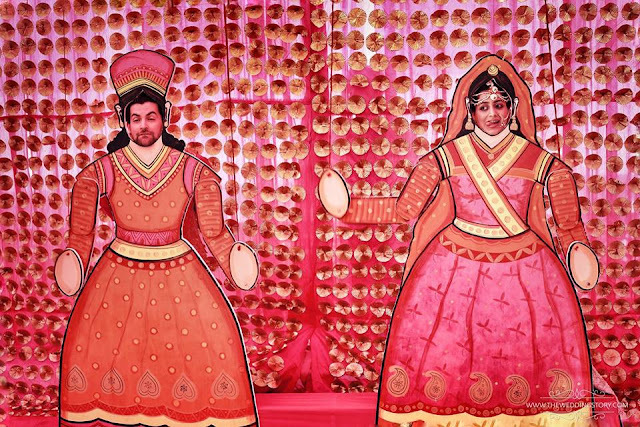 For Engagement Rukmini wore a gown while Neil wore a black suit. 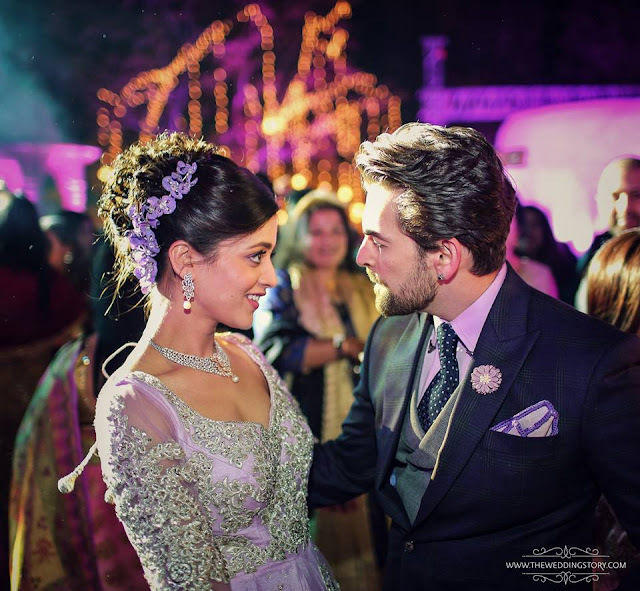 I love the hair style and purple head jewellery, so chic. 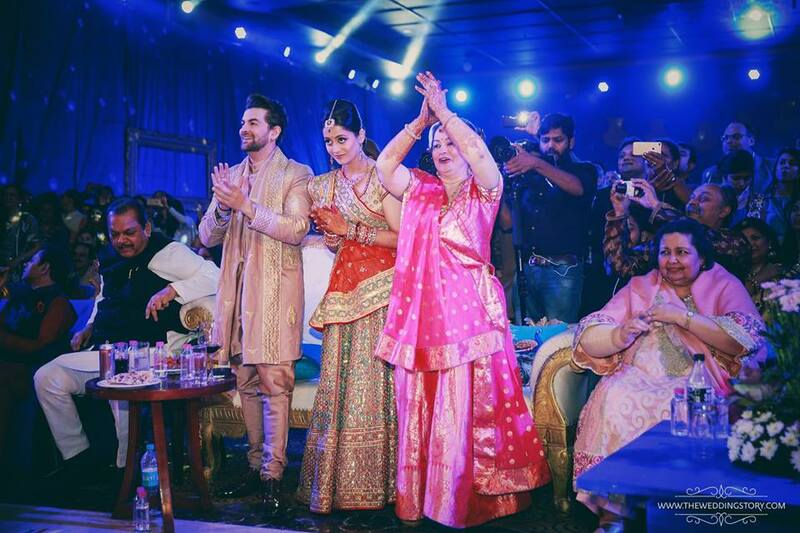 The mehndi event was a colour splash with Neil in pink kurta with nehru jacket and Rukmini in Green lehenga. 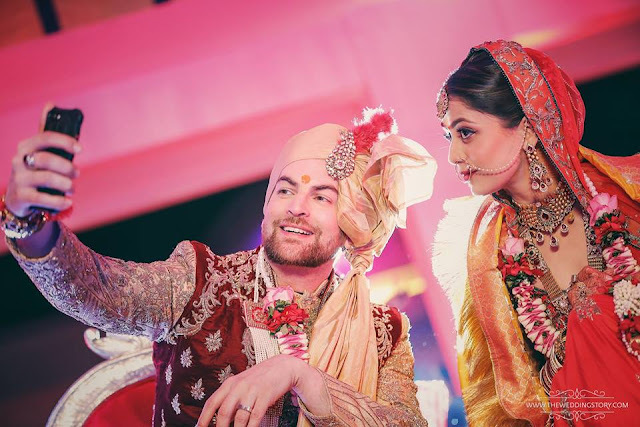 The pink dupatta and floral jewellery completed rukminis mehndi look. 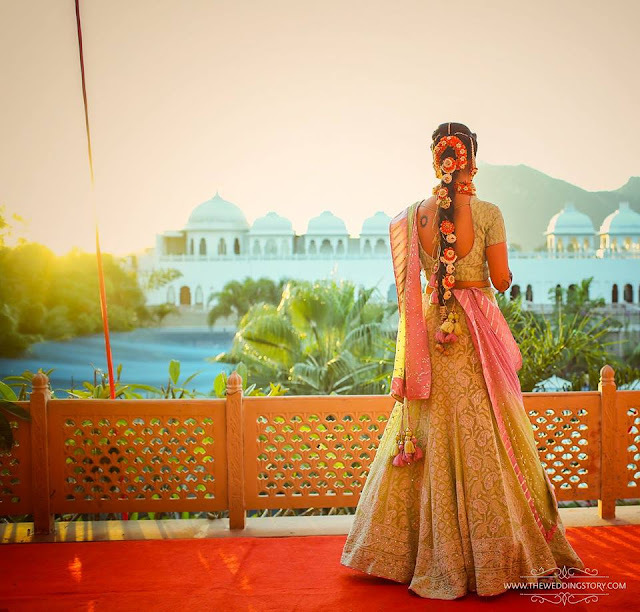 I loved Rukminis leheriya dupatta and braid.